A brilliant and profound tale of one young man’s search for identity, and the stories we tell ourselves. 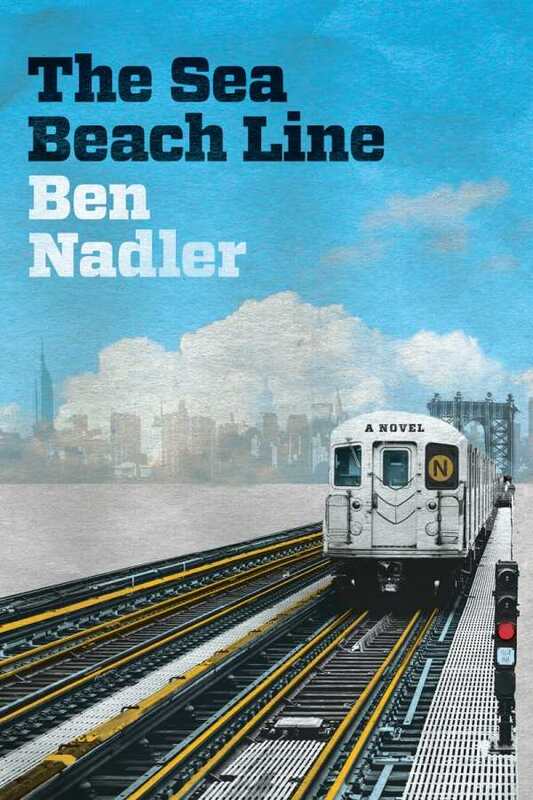 Brooklyn novelist Ben Nadler returns with a fabular coming-of-age novel that is both a love song to New York City and a Jewish son’s search for identity. The Sea Beach Line tracks Izzy Edel on his journey to find the hustler whose sketchbooks portray a mysterious history. An unhurried plot brilliantly captures Izzy’s transformation from a dropout to a young man forced to confront his own illusions. When Izzy, a drifter and dreamer, receives news that his father, Alojzy, has disappeared, he’s determined not to accept it. With no way to verify the rumored death, he assumes the roles his father once held in hopes of discovering what happened. Much of the book centers on Izzy’s efforts to take over Alojzy’s book-selling business, his dealings with gangsters, his search for the faces his father repeatedly sketched, and his friendship with Rayna, a runaway. Memories of Alojzy intersperse with Izzy’s reflections: fragments of fiction he’s read, moments with his sister and soon-to-be brother-in-law, and scenes with fellow used-book sellers. The novel skillfully merges religion, a haunting painting of a woman, imagination, family, and perception, revealing its secrets one by one. Yet for all its intrigue, the story’s heart is a simpler, more profound account of delayed grief. Izzy’s characterization is deft. Vulnerable, determined, an escapist, overly awed by his mythologized version of Alojzy, protective, an antihero whose heroics land him in trouble—he’s a complicated figure who fascinates. Rayna, one of the book’s pivotal figures, is presented as an ethereal woman who doesn’t stand out to the same degree, though the stories she tells convey necessary wisdom. Other noteworthy, minor characters include a strongman turned right-hand man to a don, a rabbi, and an opportunistic artist whose Coney Island museum serves as the site for several of Izzy’s reckonings. The Sea Beach Line explores themes of self-reliance, solitude, loyalty, and the stories people weave to diffuse pain. With its colorful immersion into the mind of an unstable narrator, the work speaks to the powerful tide of memory.